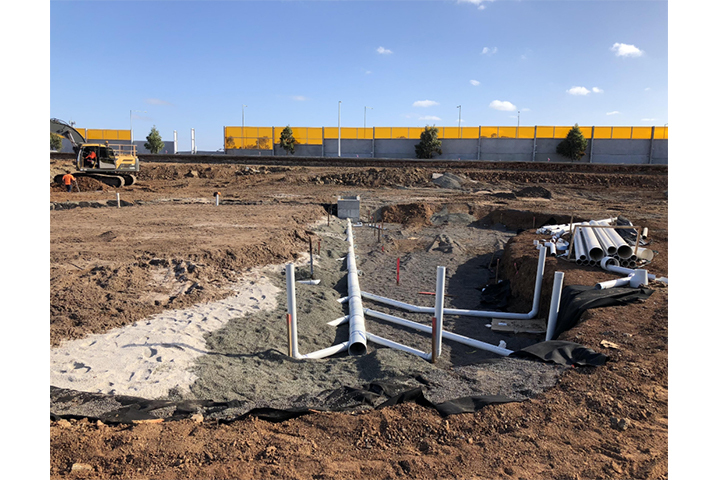 Here’s a photo sent in from our Integrated Water team of a raingarden in Upper Point Cook that’s under construction, something we don’t get to see all that often! Here you can see the exposed drainage system and water filters, essentially the ‘nuts and bolts’, which are placed to protect rivers from flooding during heavy rain. We’re looking forward to sharing what the project looks like once it’s finished.